Sales rates are 25% below normal, and with low household formation and a lack of equity in potential move-up households, transaction volumes will remain low for the foreseeable future. Everyone want to move up to better housing accommodations. Years ago I toured the Tijuana subdivisions of URBI. One of the homes was a 288 SF single family detached home. When I asked one of our guides who bought such a place, he beamed with pride and said they were generally people moving out of shanties. They were thankful to have working plumbing, solid walls, and climate control. That tiny home was a huge improvement over what they moved out of. My wife recently had a conversation with a woman who was lamenting her plight. Her family was outgrowing their Shady Canyon home. With three children, their 4.000 SF 5 bedroom house no longer met their needs. She wasn't bragging or being pretentious, she was relaying the truth of her situation as she saw it. No matter your station in life, it's human nature to want more. Thus, a move-up buyer is a large component of any healthy real estate market. A move-up market requires two things in order to function: equity and increasing incomes. Neither is present in today's housing market, and there are few glimmers of hope on the horizon. In the real world, most first-time homebuyers use an FHA loan and buy a low-cost property. The reason for this is simple: it takes too long to save 20% for a down payment on a conventional loan. First-time homebuyers use FHA loans because the 3.5% down payment is within reach. Further, once these buyers are in a property, they simple wait five or ten years for the wage-based appreciation to magically give them 20% to 30% equity in a property to use on their move-up purchase. Once the owner has enough equity to get a closing check large enough to fund a 20% down payment on a move-up property, they go shopping. Since this is usually quite some time after buying their FHA financed property, it's likely the household wage earners are making more money. They take their larger family income and their 20% down payment and buy a move up property. At least that's how it used to work. Notice the scenario above requires both appreciation to create equity and increasing income to finance a larger loan balance. If either of those conditions is missing, the move-up market suffers because fewer buyers are active. So think about today's market. We are creeping out of a deep and prolonged recession characterized by persistently high unemployment. Incomes are down, not up. Even if buyers had the equity, they don't have the income growth also necessary to push buyers up the property ladder. If not for historically low interest rates, loan balances would be contracting with the declining wages experienced by many during the recession, particularly those in real estate related fields. Also, prices have crashed, particularly for low-end properties typically purchased by FHA buyers. Nobody purchasing low-end properties with FHA loans over the last decade has accumulated any move up equity, and prices are still going down. That problem alone explains much of the ongoing weakness in the move-up market. In fact, I argue that the lack of equity at the bottom of the housing ladder is largely responsible for the weakness in pricing and volume at higher price points. Many housing pundits believe the market will strengthen from the top down. This view is not correct. The high end of the market will bottom last because it will experience a persistent lack of available buyers. If there are fewer move-up buyers, there will be less buying pressure, and since we know there are plenty of distressed properties from the plethora of overextended borrowers struggling or squatting in high-end homes, there will be no shortage of supply. Lenders have been successful so far at slowly releasing high end homes to the market to keep the decline orderly. Let's assume that practice will continue. Due to the low demand, there will be an ongoing imbalance with supply and demand, and prices will slowly creep downward as banks are forced to take slightly lower prices than recent comps in order to liquidate. Like slowly removing a band-aid, the pain gets stretched out over a much longer period of time — but it is still painful. Banks will release product slowly because they need to get their cash back out of these properties. If a big bank like BofA gets really desperate, they might increase the pace of their liquidations and push prices lower quicker, but if they don't, prices will drift lower slowly as the inevitable liquidations run their course. Lenders have this fantasy that they can slowly release product into a rising market and obtain a better recovery. It isn't going to happen because there is simply too much product. For example, the Irvine Company and other new home builders generally account for about 15% of sales. At that rate, they can obtain higher prices and not disrupt the market. Right now, distressed sales by lenders account for 30% to 40% of the monthly sales volumes, and they have a backlog which will take a decade to clear out. If they try to reduce their sales volumes to be only 15% of sales, they will be selling REO forever. In my opinion, we will see the low end of the market bottom in the next year or two. There will be a multi-year gap between when the low end bottoms and when the high end bottoms due to the lack of a move up market. It isn't until those who bought near the bottom at the low end have enough equity to move up to the next rung on the property ladder that each subsequent rung will bottom out. In other words, the bottom process will take a long time, and the high end will be the last to experience it. The 0.2% bump in August in the Standard & Poor's/Case-Shiller index of 20 metropolitan areas is the fifth straight monthly increase. But a sustained improvement in housing may be hard to achieve in the months to come. By Alejandro Lazo, Los Angeles Times — October 25, 2011, 9:20 p.m.
Providing a ray of hope for the beleaguered housing market, a closely watched index of home prices in major U.S. cities nudged upward in August, marking the end of what is typically the busiest sales season of the year. Home prices have risen for five months in a row, but whether the spring and summer gains will prove lasting is an open question. Sustained improvement in housing may be hard to achieve in the months to come, experts said, if the nation's foreclosure machinery picks up momentum and employers remain reluctant to hire. “We will probably see a reemergence of the seasonal dip in most markets, quite frankly, including California,” said Thomas A. Lawler, founder of research firm Lawler Economic & Housing Consulting. Yes, the seasonal pattern will spell then end of rising index prices. I have repeatedly predicted a welcome decline this fall and winter. The Standard & Poor's/Case-Shiller index of 20 metropolitan areas rose a meager 0.2% from July to August, an uptick many analysts noted as probably seasonal in nature and influenced by the decline in foreclosed properties as a share of the total number of homes sold. Comparing the August reading with the same month a year earlier, the index fell 3.8%, a drop economists viewed positively because it was one of the slowest rates of year-over-year decline registered by the index all year. Prices falling 3.8% is a positive? Well, I think so, but not because I want to see prices go back up. It's positive because it's a sign houses are becoming more affordable to the average person. Christopher Thornberg, principal of Beacon Economics, said other home price indicators point to two trends developing in the nation's housing market: Values are declining for homes in distress — those properties that are either foreclosures or cases where the homeowners are delinquent on their mortgages — but other homes are fetching higher prices. These two divergent forces are flattening out overall market values, he said. The main source of sales sluggishness is the scarcity of potential move-up buyers with equity in their homes. Chris Thornberg is correct. The lack of equity is weighing down the market by reducing the number of move-up transactions. But David M. Blitzer, chairman of the index committee at S&P Indices, said he sees “a modest glimmer of hope” in improvements in some aspects of the data. I do get tired of every comment by every person in every news story being slanted to the point of view of loan owners. I find more than a modest glimmer of hope that prices will get even more affordable when I see how far prices have already come down, the downward price momentum, and the lack of demand at current price points. Prices rose in August for 10 of the index's 20 metro areas compared with July, and prices fell in the other 10 cities. California cities stumbled. Home prices in Los Angeles fell 0.4% over the previous month, San Diego prices declined 0.2% and San Francisco saw a 0.1% drop. Atlanta experienced the biggest decline, down 2.4%. Las Vegas fell 0.3% and Phoenix was down 0.1%. Prices fell more in Las Angeles than they did in Las Vegas last month. Which market do you think is closer to the bottom? The Midwest has made gains in home prices in recent months, and Chicago and Detroit were both up 1.4% over July. Washington has fared better than other regions and gained 1.6%. Earlier this year, the 20-city index dropped below its previous bottom, hit in April 2009, confirming a double dip in prices, but has come up above that level since. Some economists predict a renewed decline in prices in fall and winter, typically slower periods for the market. Economists have had trouble pinpointing the source of the recent rise in prices. Home values often rise in the spring and summer months because families more actively shop for houses so they can complete moves before the start of the new school year. But the number of foreclosed homes for sale also has been dwindling because foreclosure processing by the big banks has slowed down as a result of investigations into their practices. Yes, lenders are ramping up. Reports about the declines in foreclosures usually omit the reason foreclosures declined. The implication is that lenders must have run out of people to foreclose on, so the foreclosure cleansing must be nearly over. That was never the case. The price pressure from distressed properties will not be relieved until delinquency rates are back down to historic norms and the shadow inventory is cleaned out. That process will take years. But Lawler disagreed, saying that the recent increase in the number of notices of default, the first formal stage of the foreclosure process, was mostly due to activity by Bank of America. There has yet to be a significant uptick in home repossessions by banks. What does Mr. Lawler think BofA is doing then? Are they issuing all these NODs just for giggles? Just because the NODs have not been seasoned for 90 days so they can become Notices of trustee sale (NOTs) and ultimately foreclosure does not mean that they won't. BofA and other banks are clearly setting out to liquidate their shadow inventory. Once these properties are REO, they may have second thoughts about how quickly they dispose of these properties, but their recent actions show they are intent on repossessing these properties. In any market crash, the weakest hands give up their positions first, and the strongest hands give up last. During 2007 and 2008, many of my property profiles were borrowers who used 100% financing, Option ARMs, or were dependant upon Ponzi borrowing to survive. When conditions became even slightly adverse, they walked away. Over time, we saw fewer and fewer of those borrowers, and we started to see the people who put 5% or 10% down. Now that the decline has dragged on for 5 years and prices are over 30% down from the peak and still falling, we are starting to see the people who put 20% down give up and walk away. The former owner of today's featured property paid $598,000, and he put $119,400 down. It went back to the bank on 3/11/2011. The former owner's substantial down payment is lost. Larry Roberts and Shevy Akason are hosting an OC housing market presentation at JT Schmids at the District on November 9, 2011. Please RSVP at sales@idealhomebrokers.com. 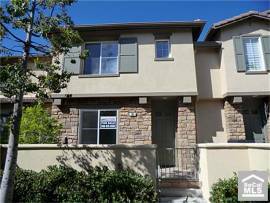 Register online here: OC Housing Market – JT Schmid's. 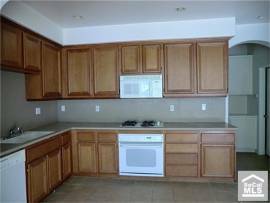 Quiet Two Story Town Home ~~ 3 bedrooms, 2.5 bathrooms, with a 2 car attached garage with direct access. Property features Harwood Laminate flooring throughout, oversize gas burning fireplace, open kitchen with custom cabinets and solid granite countertops, large master suite with room for seating area/office and walk~in closet, upstair laundry room, walk~in pantry, and patio. Property has been rehabbed to include new interior neutral color paint throughout. Property is located near multiple shopping and entertainment opportunites. Larry Roberts is hosting a Las Vegas cashflow properties presentation at JT Schmids at the District on November 9, 2011. Please RSVP at sales@idealhomebrokers.com. Register online here: Las Vegas cashflow property – JT Schmid's. This entry was posted in Library, News on October 31, 2011 by IrvineRenter. Waiting 10 years to get 20% equity seems like a losing proposition to me, when if you get a no-down 15 year mortgage, you have 60% equity after 10 years. What fueled the move-up market of the past was price appreciation. You had no wage growth from 2000-2010 (even in many of the top-10% fields – engineers aren’t making more, and neither are many medical specialties). But yet, you had a massive move-up market. People went after the most house they could get because it was an investment. If your home was going to go up in price 20% per year, isn’t it better to have a $1Million home than a $500k home? Higher selling prices of their prior homes gave the movers-up paper wealth. Banks allowed much higher DTIs. You also had more creative financing. The second and third overcame the requirement for income growth. Buyers also used their prior paper gains or HELOC income to cover the shortfall. Was there real income documentation for bubble-area loans in 2005-2007? Markets that counted on this type of activity will be depressed for more than just two more years. There was never enough wages in the area to justify the prices, and wages are worse. Out-of-town money will come in, but they won’t fuel appreciation the way super-leveraged borrowers did. However, areas that have seen modest wage declines, and modest price climbs & then reversals, will see more paid-in appreciation than they were during the bubble. Look at the second graph on this post at Calculated Risk. Even as prices were going up, equity levels were flat, and even falling by 2006. This showed that no matter how much appreciation fueled equity was being gained, it was being spent either by moving up or HELOCs. Paid-in equity growth is a better goal for how to get this number back up. From which towns? Newport/Irvine metro area is amongst the highest ranking income areas in the USA. Do you really mean FCB’s? I have always thought that the FCB was something from mythology. Real Estate agents I have talked to really like to play to FCB card to create the illusion of demand, knowing that its hard to prove/disprove. Does anybody have any data to show that FCB’s actually significantly influence the Irvine market? I don’t know Irvine, but I somewhat know South Florida. The ‘out-of-town’ money there is Canadian, Latin American and European. They aren’t so much ‘influencing the market’ as becoming a bigger part of the sales volume. > Waiting 10 years to get 20% equity seems like a losing proposition to me, when if you get a no-down 15 year mortgage, you have 60% equity after 10 years. – where are these no-down mortgages? – if somebody can afford a 15-year mortgage, they can afford to save 20% in 5 years, not 10. That was an example. There are lots of 5-10% down programs, in addition to FHA/VA loans. None of those assumptions are on the order of magnitude of assuming that prices will rise again. They are also less damaging to our overall economy. The assumption that home prices would never fall in a significant fashion is one of the most damaging assumptions of the past 25 years. Right up there with the ‘Iraq’s oil revenues will pay for our invasion, so our total cost would be $50-$60 Billion (only off by 40X or so). Prior activities of Americans in the housing market have been terrible. Moving to 15 year mortgages from 30yr loans would be an improvement. Defending something by saying this is how people have done it, when there is financial disaster still visible in the rear view mirror (and somewhat out the side windows), is extremely weak. Sure there are lots of low-down loans, but most of them now will not be applicapable to most areas of California. And the added monthly costs of Mello-Roos and HOA’s will tip most folks out of the “qualified” bucket. So, then where are you? You can’t have it both ways. Substantial downpayments, clean credit, adequate income to buy product that is vastly overpriced even at bank auction levels. The bottom line is, how far down do prices have to get for real folks to get back into the market? I’m not talking about those foreign buyers that have $500K and will get a “Visa” if they purchase. That’s just another bandaid. The market needs REAL buyers. This post was about how move-up buyers require equity, and my point was that appreciation fueled equity is not going to be there – at least short-term. The other ‘requirement’ for move-up buyers, increasing salaries, was never there with the most recent group of move-up buyers. The better way to look at gaining equity is through paying down your mortgage – either through 15 year vs 30 year terms, or extra payments (15 year terms are in a way better than extra payments because they get you lower rates). When you look at income-generated equity vs. price-appreciation generated equity, you see different futures playing out. If you have people buying today expecting to sell in 5 years for 25% more than they bought, you get one group of buyers. If you have people expecting prices to be flat, but either saving for a DP or tolerating more paid in each month towards the mortgage, you get different buyers. Prices will go to where the payments take them, without much appreciation going forward. I don’t see that being upwards. I guess reality didn’t poll well.